I totally could have shaken hands with that hippo. Well, I guess if hippos had hands and weren’t more interested in eating me than making my acquaintance. 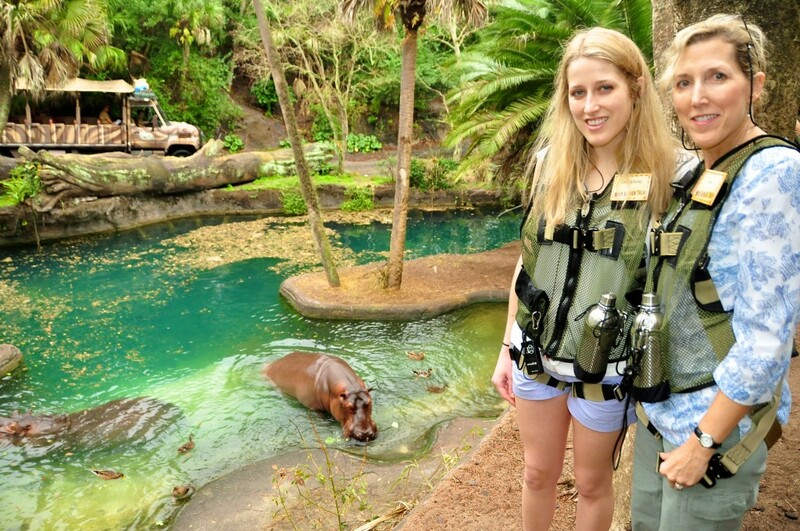 But the point is when you go on the Wild Africa Trek at Disney’s Animal Kingdom you are just about that close to the animals. To start the trek we got to the park prior to opening and met up with our guide. After being fitted with vests equipped with an expedition harness and binoculars and doing a short practice walk over a small swinging bridge, we were off in the cool, misty morning. Led by our guide, our small group took the three-hour expedition took us through the Pangani Forest partly on foot, then in a small safari jeep. 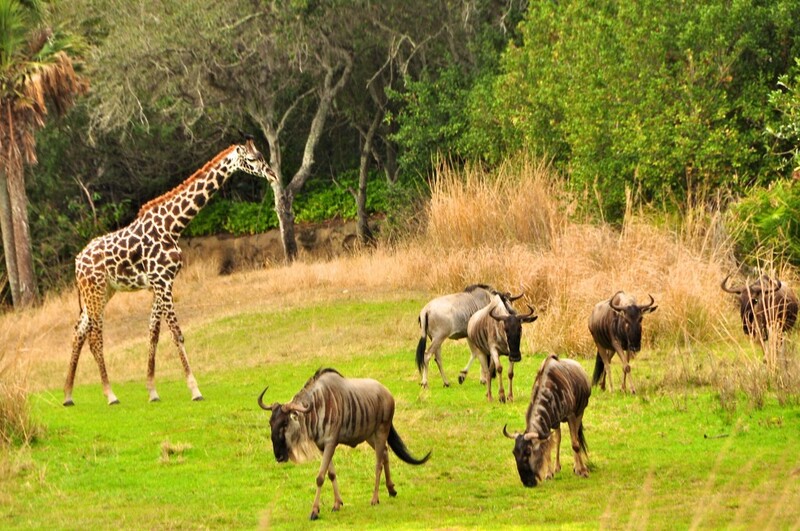 Some of the tour overlaps with the regular Animal Kingdom Kilimanjaro Safari, but where there were on a tight schedule in large jeeps that had to stuck to the path, we were free to roam at our leisure and zoom through the fields to get a closer look at the animals. Here are a few shots of our tour, which were taken by the professional photographer that accompanied us on the trek. 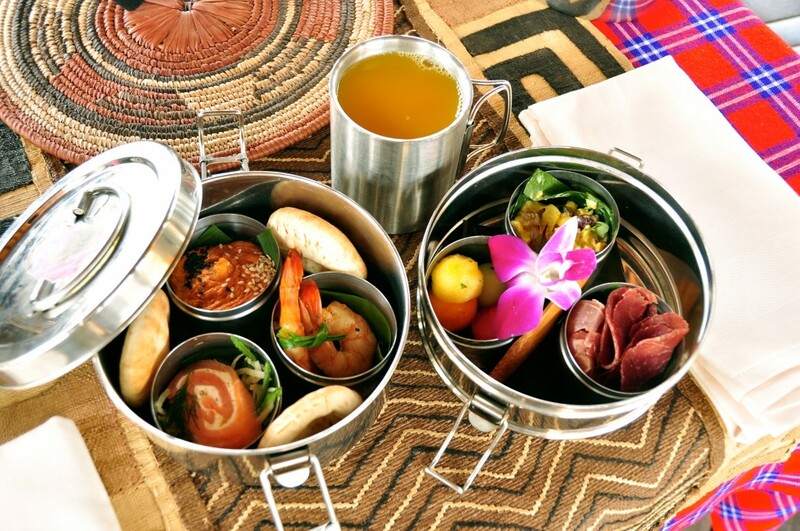 Wild Africa Trek includes a photo CD that is mailed to you and a tasting of Wild African foods. At $189, the Trek is pricy. But as I reviewed the CD from our amazing morning, I’d say it’s worth it. And if you book a trek by August 25 that starts at 11:45 or later, you’ll get a $50 discount. 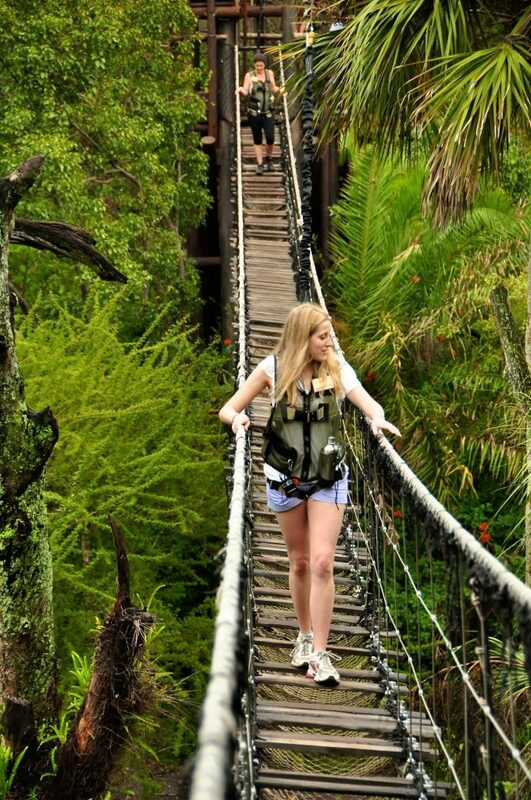 Call (407) WDW-TOUR or (407) 939-8687 to book the Wild Africa Trek. Guests must be 8 and older. Our trek was not without obstacles. 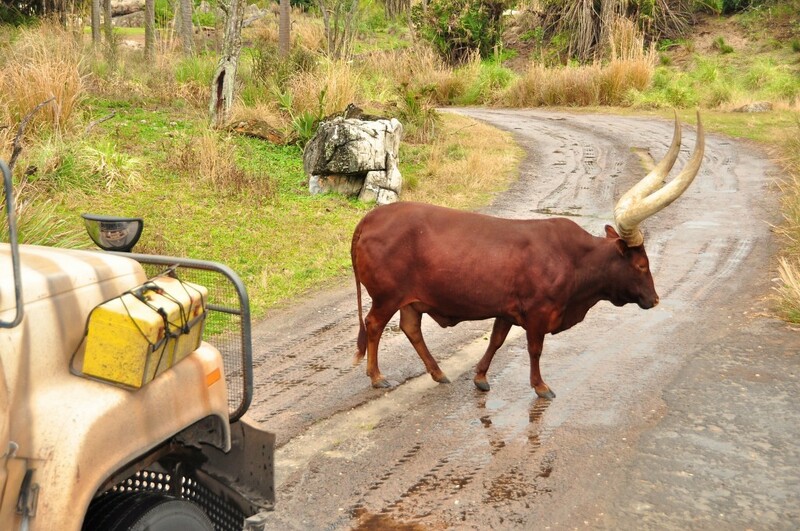 We had to stop the jeep as this fella clearly thought he had the right of way.It’s Florida – it should be warm, right? But the wind kicked up and we were rather chilly during our break. Our view from our wooden lookout during lunch. The animals put on a show for us, running all around the field.